The Sherborn Library invites readers to participate in our third annual summer reading program for adult patrons. The program will run through August. Participation is easy. Interested patrons complete a very brief book review form available at the Library, or on the Library website. Each review submitted entitles the reader to one entry in a weekly drawing for various prizes. Prizes include a multifunctional Nebo Redline compact flashlight, Michelin-awarded Canadian maple syrup and Atlas Obscura by Joshua Foer. For additional information, contact Donna Bryant, Public Services Librarian, at 508.653.0770 or visit the Sherborn Library website at http://library.sherbornma.org. Thursday, Sept 7th at 7 p.m.
Are You a Food Adventurer? If you love to cook and try new recipes, the Sherborn Library’s cookbook club is for you. Here’s how it works: The Library provides multiple copies of a cookbook–a new book every 4-6 weeks. Each participant selects a different recipe from the book and prepares it for the group. Once every month or so, we’ll meet, eat our creations, and discuss the preparation process of our dishes. Involvement is flexible— you may participate one month but not the next. The next meeting is Thursday, September 7th at 7 p.m. and the cookbook selection is “Everyday Cook” by Alton Brown. Multiple copies of this book are available at the Library. Interested patrons should register by emailing Librarian Donna Bryant at dbryant@minlib.net. A minimum of 6 participants are necessary for a viable event. Communication will be via email. Everyone is welcome. 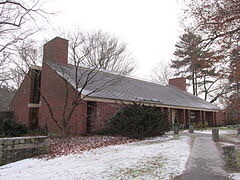 The Sherborn Library is in a temporary location during its renovation and expansion. Find us across the street at the Sherborn Community Center, 3 Sanger Street in Sherborn. Event facilities provided by the Sherborn Community Center Foundation. The SCC can be rented for private functions. Keep up kid’s reading skills throughout the summer. gift certificates to area restaurants. Do you have a child who is entering kindergarten in September? Join us for an afternoon of kindergarten fun! Come and explore a variety of hands-on kindergarten activities. Ask questions and learn how to help your child make a smooth transition to kindergarten. Participants will each receive the “Making the Transition to Kindergarten Activity book”.